Polish Days are the most important industry event at the 14.T-Mobile New Horizons International Film Festival, where industry representatives including programmers, sales agents, producers, film funds and distributors from all over the world watch the latest Polish films at closed screenings. This year’s edition of Polish Days took place on 30 July – 1 August. Six completed Polish films and ten works-in-progress were shown at closed screenings, while eleven projects were pitched to the international audience. Among the finished films, the representatives of the international film industry had a chance to see 15 Corners of the world by Zuzanna Solakiewicz, Gods by Łukasz Palkowski, Call me Marianna by Karolina Bielawska, Performer by Maciej Sobieszczański and Łukasz Ronduda and two films that competed in the Main Competition of the T-Mobile International Film Festival - How to Disappear Completely by Przemysław Wojcieszek and Calling by Marcin Dudziak. Projects in development presented in the pitching session included, among others, Hungry by Katarzyna Klimkiewicz, I’m the Killer by Maciej Pieprzyca, Volhynia by Wojtek Smarzowski, Wild Roses by Anna Jadowska, Rosa by Denijal Hasanović, Toxaemia by Julia Kolberger and Owl, the Baker’s Daughter by Grzegorz Jarzyna. The works in progress section showed clips from the following films, which are currently in production: And There Was Love in the Ghetto by Jolanta Dylewska and Andrzej Wajda, Carte Blanche by Jacek Lusiński, Journey to Rome by Tomasz Mielnik, I, Olga Hepnarova by Tomáš Weinreb i Petr Kazda, The Here After by Magnus von Horn, Walser by Zbigniew Libera and Close Ups by Magdalena Piekorz, among others. This year, for the first time, image and sound post-production awards were given by Polish Days’ new partners - post-production companies Toya Studios and Chimney Poland. Toya Studios’ sound services award went to Volhynia by Wojtek Smarzowski and Chimney Poland’s image services award went ex-equo to Volhynia by Wojtek Smarzowski and Owl, the Baker’s Daughter by Grzegorz Jarzyna. The event attracted around 200 guests including producers, film funds and programmers from Berlin, Rotterdam, Istanbul, Gothenburg and Karlovy Vary, as well as a number of buyers such as Level K, NDM, Premium Films, Film Republic, Alpha Violet and New Europe Film Sales, Just Film Distribution, Imagine Film, Soda Pictures and Epicentre. This year’s special guests were a group of Turkish film professionals invited to Wrocław in cooperation with the international film festival in Istanbul, the Adam Mickiewicz Institute and the Turkish Ministry for Culture and Tourism to celebrate the 600 years of diplomatic relations between the two countries. Further industry events within Polish Days were a film sound workshop organized by Toya Studios and Meet the Polish Film Commissions, which gave both Polish and international producers an opportunity to meet film commissions operating in Poland and to get information about funding and other advice. 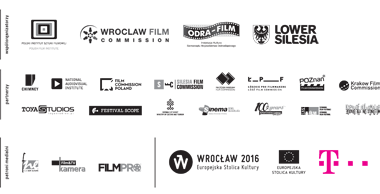 Polish Days were co-organized with the Polish Film Institute, Odra Film and the Wrocław Film Commission with the support of the Lower Silesia municipality and the city of Wrocław. Event partners included Film Commission Poland, Łódź Film Commission, Mazovia Warsaw Film Commission, Poznań Film Commission, Kraków Film Commission, Silesia Film Commission, Festivalscope, National Audiovisual Institute, as well as post-production studios Toya Studios and Chimney Poland.